Google gives every user 15 GB of online storage space. 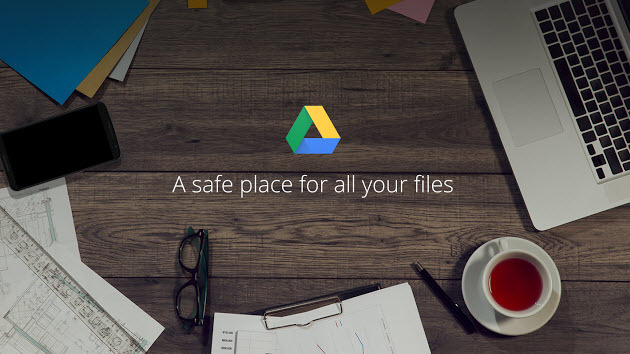 Users can upload all of their photos, videos, documents and music to Google Drive for saving or sharing. But if some of users want to upload their favorite Apple Music songs to it, they inevitably fail for DRM restriction of Apple Music. So is there a way to remove DRM from Apple Music, and then people can upload them to Google Drive. Here the article will provide a useful way to help people to make it happen. Google Drive, launched by Google on April 24, 2012, is a file storage and synchronization service. It allows users to store files in the cloud, share files, and edit documents, spreadsheets, and presentations with collaborators. Google Drive had 240 million monthly active users by October 2014. In September 2015 that they had over one million individual or organizational paid users of Google Drive. Why people prefer to choose Google Drive to store their files? There are five reasons. 1. Support various kinds of documents. Users can build, share, and view many types file, such as image files (.JPEG, .PNG, .GIF, .TIFF, .BMP, .WEBP), video files (WebM, .MPEG4, .3GPP, .MOV, .AVI, .MPEG, .MPEGPS, .WMV, .FLV, .OGG), Audio formats (.MP3, .M4A, .WAV, .ogg) and so on. 2. Support to access it from any location: PCs, Mac computer, Android smartphones and tablets, iPhones, iPads and so on. 3. A powerful search function. Google Drive not only supports the way of key word search, file type and format, but also uses Google Goggles and Optical Character Recognition (OCR) technology. Users can search for images by describing or naming what is in them. For example, a search for "mountain" returns all the photos of mountains as well as any text documents about mountains. 4. Sharing. Users can share their files with anyone, and the owner may also set an access level for regulating permissions. The three access levels offered are "can edit", "can comment" and "can view". Users with editing access can invite others to edit. 5. App. Different from others, Google released an API for Google Drive that enables third-party developers to build collaborative apps that support real-time editing, which means that users can upload their files by using each program with API of Google Drive, and do not need to install Google Drive APP. 2. How to upload Apple Music Songs to Google Drive? 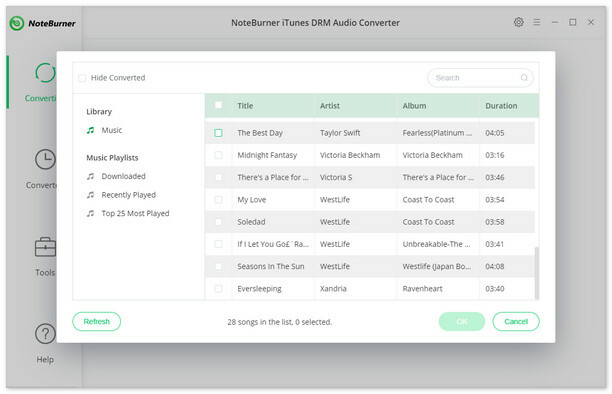 It is well-know that Apple Music adds DRM to all of its songs to prevent people from using without authorization. And Apple Music thinks that playing Apple Music on mp3 player, car player, or burning to a CD would be stealing. They're not tracks users own, even if people download them for offline use; they're protected .m4p files. So if people want to upload their favorite music to Google Drive, they will fail inevitably. Is there any way to solve it and help people upload Apple Music songs to Google Drive easily? Click the button "+" to add music, it will pop up a window, which will show you all of songs you have downloaded from Apple Music. 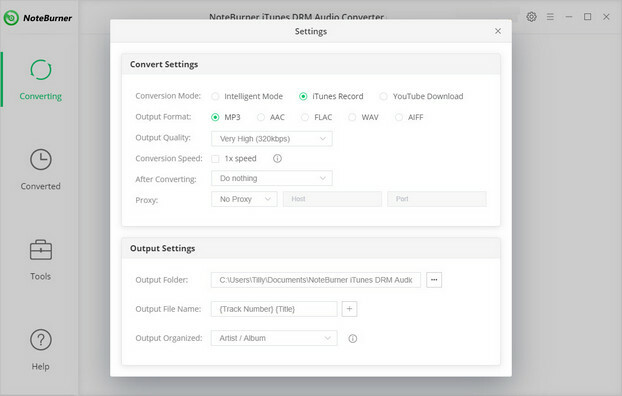 You can choose any song you want to convert. After the successful adding, the next one is choosing the output format according to your need. Clicking the button "setting", in the pop-up window, you can set output path, output quality, and output format including WAV, AAC, MP3, and FLAC. After completing the above steps, the final one is clicking the button "Convert". Just a few second, it will succeed. The output audio are kept with all ID tags and metadata. 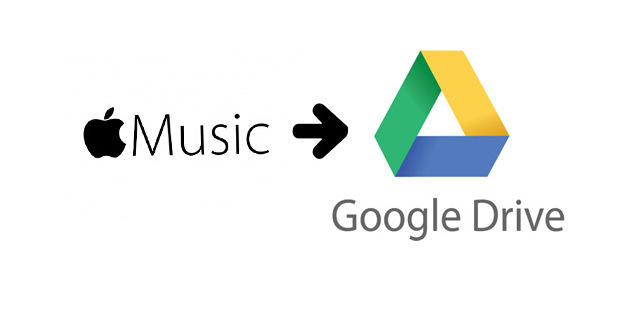 Afterward, you can enjoy DRM-free Apple Music songs and upload them to Google Drive easily.